It’s been a while since we had a new product to discuss coming from GlobalVR, their most recent game being FrightFearLand. That changes now with the demonstration of a new light-gun game called The Swarm, as seen at the AAMA Gala 2012 which was held in Chicago this week. It uses the standard GlobalVR mounted gun design but there is a little more to it than that – this is also 3D enabled, making it the first time GVR will have entered this realm. The game can switch between 2D and 3D where that option can be set by the operator or the player. A 3D glasses dispenser is also an option that can be included with the game for players to purchase simple 3D glasses to use. I also like the art bezel around the monitor which helps with these new LCD monitor designs in making them feel a little more like an arcade machine should. 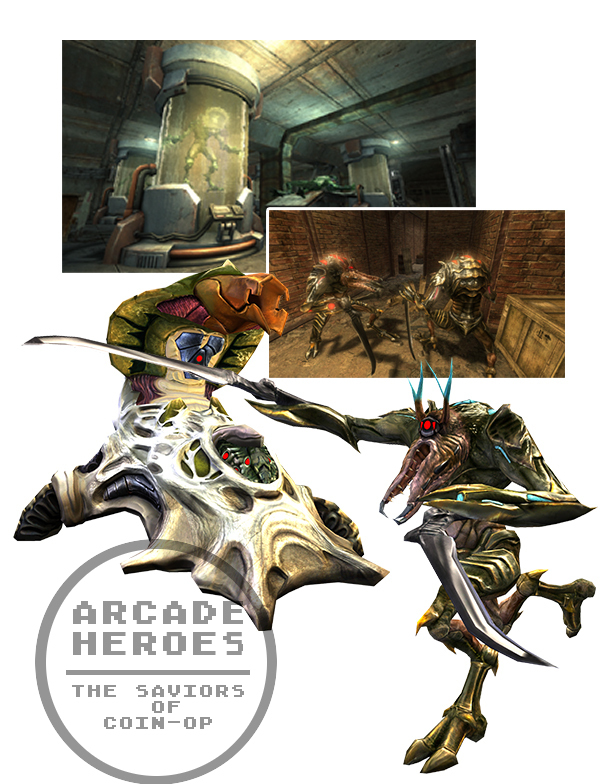 For the game itself, there are 7 levels of play, multiple paths to take, secret rooms, numerous different enemy types and 10 different weapons. Players do have a shield that they can temporarily use for defense and you also collect DNA packets to morph into an alien where you can use a more powerful arsenal (the character seen on the marquee is your character fully morphed). The game also has operator selectable Yellow (Animated Violence Mild) or Red Label (Life Like Violence Strong) levels. 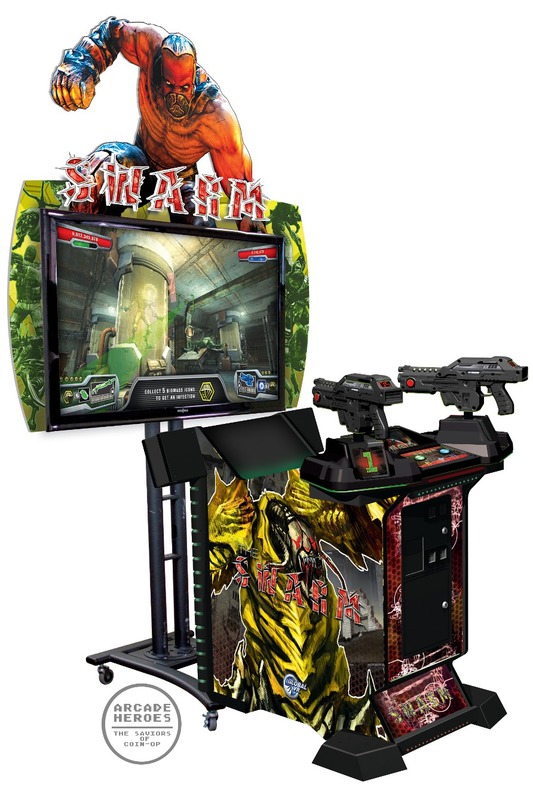 The monitor is a 47″ 3D display and the cabinet base is the same they have been using for the deluxe version of FrightFearLand and Aliens Extermination. A release date hasn’t been given yet but usually it’s not far off (maybe a month or two) after being shown publicly; likewise we won’t know the price until that time but I wouldn’t be surprised if it is around FFL.